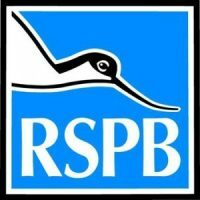 RSPB is Europe’s largest conservation charity. Giving Nature a Home in Cardiff is RSPB Cymru’s flagship public engagement project delivered in partnership with the City of Cardiff Council and Buglife. The project has already engaged over 25,000 children and their families across Cardiff with wildlife; encouraging them to connect with the nature on their doorstep and take action to support it. We are offering a 5 month voluntary internship on this project to gain hands-on experience delivering public events, school outreach sessions and learn all about the project. Enthusiastic about learning outdoors and community engagement with a keen interest in wildlife. Happy spending lots of time outdoors in all weathers. Excellent social skills and an ability to connect with and engage a range of audiences. Ideally with some experience of volunteering you’ll be able to support and help lead other volunteers of all ages. A great team player with a positive, can do attitude, resourceful, flexible and keen to learn. Organised, able to prioritise and motivated with lots of initiative to ensure you make the very most of your internship.